Do You Think You’ve Been Sexually Assaulted While Under the Care of a Hospital? Patients who enter the hospital put themselves in the hands of an institution they expect to care for and treat them. Unfortunately, some patients become the victims of sexual assault while they are in the hospital. If you suspect you have been the victim of such an assault, it is important to know that you don’t just have a case for criminal action against your assailant—you may also have grounds for a civil suit against the hospital as well. Hospital patients are often in a uniquely vulnerable position that offers temptation to would-be abusers. While under anesthesia or heavy sedation, patients are not in a position to either fight back against or accurately report the details of an assault. Their injuries or diseases may also prevent them from defending themselves. Cases in recent years have included patients who were allegedly assaulted while coming out of anesthesia, while incapacitated after a seizure, and while partially paralyzed from brain injuries. If the hospital hired someone who had a previous conviction for sexual assault and either failed to run a background check that would have revealed that information or had the information and hired them anyway. If an employee or contractor had a pattern of suspicious behavior known to other members of the staff and the hospital did not take steps to protect patients from harm. if the hospital had knowledge that another patient had a history of sexual assault and did not take steps to prevent them from harming others. Another factor to consider is whether the hospital’s security procedures or policies—or lack thereof—contributed to the assault in question. This failure to ensure the safety of their patients may be especially evident if a previous assault had been committed and the hospital did not respond adequately to ensure another assault could not happen under similar circumstances, such as by adding surveillance or guards or mandating that patients always be given exams or procedures with other medical professionals present. 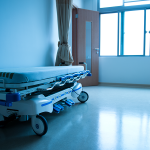 In any of these circumstances, the hospital’s negligence can be shown to have contributed to the sexual assault, giving the plaintiff the basis for a personal injury claim. However, to successfully bring an action against the hospital, the victim must retain an experienced personal injury attorney. Defense attorneys may try to paint such a case as a medical malpractice case in order to take advantage of tort reform laws that limit noneconomic damages, such as for pain and suffering. A knowledgeable attorney can help avoid this and maximize compensation to help the victim obtain treatment to deal with the traumatic aftermath of an assault. If you or a loved one has been the victim of sexual assault while in the hospital, contact the attorneys of Hodes, Milman & Liebeck online at hmlm.com or call (949) 640-8222 for a free consultation. Can Dry Mouth as a Result of Taking Medications Cause Dental Disease?